Alert blogger catches Reuters news agency apparently editing photographs to hide evidence that IDF soldiers were knifed by flotilla passengers. An alert blogger has caught the Reuters news agency in an apparent act of journalistic deception and libel against Israel and its soldiers. Twice in the same day, the news agency edited photographs taken by terrorists on the Gaza flotilla intercepted May 30, in a way that seems calculated to deceive the global public. The agency received photographs which showed Israeli soldiers surrounded by men holding knives – and cropped out the knives before passing on the photographs to its clients worldwide. There was no comment about the second doctored photo. Shortly after pointing out the first manipulated photograph Sunday morning, the blogger, Charles Johnson of California-based Little Green Footballs, displayed the second photograph that seems to have been manipulated by Reuters in a similar way. Like the first photo, the second image was centered on a wounded IDF soldier, and originally also showed the hand of one of the soldiers' attackers holding a knife. 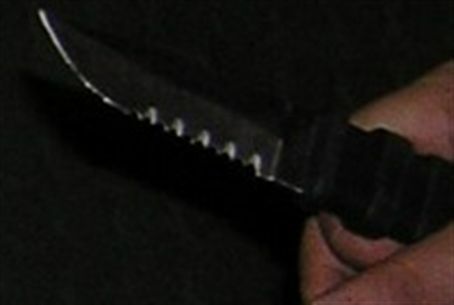 However the knife was not included in the final image sent to Reuters' clients. Also cropped out was a puddle of blood on a banister and the arm of a second IDF soldier who was lying on the floor. The photographs seem to have been doctored in a way calculated to make the IDF look as bad as possible by showing its most elite soldiers lying helpless on the floor – without providing evidence that they had been attacked by armed men. The fact that the passengers were armed was cited by the IDF to justify its eventual decision to open fire on the attackers, killing nine of them. Reuters is one of the world’s major news agencies, providing photographs and text to almost all of the world’s leading newspapers and many thousands of smaller ones. Therefore, any bias or falsification in its reporting could affect the opinions of hundreds of millions of people. Johnson has gained notoriety in the past for discovering journalistic lies, including a forged memo that was shown on CBS news to try and influence the 2004 elections. He often refers to Reuters as “al-Reuters,” due to its pro-Arab slant. Above: The uncropped version which appeared on the IHH website. Below: the missing part of the photo, which shows a second bloodied soldier (top), the knife-wielding hand and the blood on the handrail (bottom).